Yard work can be both a necessary and enjoyable activity for many, whether you live in a condo with a small yard, a suburban community, or on a sprawling ranch in rural America. However, yard work can often cause the unprepared to sustain a musculoskeletal injury, especially to the lower back. Knowing how to prepare for yard work is usually appropriate for most adults in order to avoid unanticipated and unwanted problems. 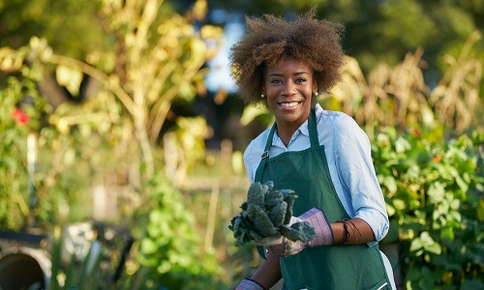 Yard work typically involves repetitive bending, lifting, and twisting activities, and may include maintaining a bent-over position for several minutes at a time. All of these actions and postures may place significant biomechanical stresses on the joints, muscles, and ligaments of the lower back. This may result in injury to anatomical structures that have not been trained to support such loads. Effective yard work preparation involves core exercise training and general fitness activities such as cardiorespiratory exercise and strength training accompanied by an understanding of safe bending and lifting techniques. Core exercises train your deep abdominal muscles, including the rectus abdominis, internal and external obliques, and the very important transversus abdominis. Regular sit-ups will train the rectus abdominis, but this is the most superficially located of your core muscles. Your oblique and, especially, your transversus abdominis provide stability and support to your lumbar spine and pelvis, helping to ensure that your bending, lifting, and twisting activities will be relatively safe and injury-free in most daily contexts. Core exercises include many routines familiar to older fitness enthusiasts and former high-school athletes, such as squats, pushups, and jumping jacks. More recent additions to the core exercise group include the plank, hip presses, leg crossovers, and forward and backward lunges. Core exercises only require an exercise mat and possibly some lightweight dumbbells for squats and lunges. They can easily be done at home or outdoors in your backyard or neighborhood common area. The addition of upper and lower body strength training and cardiorespiratory exercise such as walking, running, swimming, and cycling will provide a complete fitness program that will enable you to fully engage in vigorous activities of daily living such as yard work, carrying heavy packages, and other household chores. It is also always important to pay attention to optimal bending and lifting practices. Prior to performing bending, lifting, or twisting activities, you should make sure your abdominal muscles are activated by breathing in and flattening out your stomach. Next, get as close as possible to the object you’re intending to lift or otherwise manipulate, bend your knees, and bend forward at the waist, continuing to keep your abdominal muscles strong. Then, lift the object while keeping it close to your center of gravity and straighten your legs. By adhering to this sequence of maneuvers, you’ll be able to safely lift objects of reasonable weight, as well as safely engage in productive yard work and gardening.